What is a deep dive and when do I use it BAP? 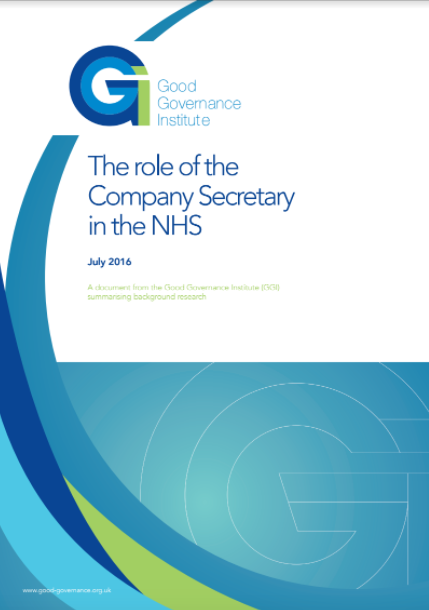 The role of the Company Secretary has been recommended in Monitor’s Code of Governance for NHS Foundation Trusts and widely adopted across the NHS. However, research conducted by the Good Governance Institute found wide variances in the seniority and scope of the role. This paper focuses on the role of the Company Secretary in relation to specific responsibilities, reporting and accountability, committees and board process and qualification and prior profession. Ultimately, the paper concludes that the role of the Company Secretary in the NHS is under appreciated and under utilise. There is a need for clearer guidance from the centre to improve awareness of the role and reaffirm its importance to the workings of the board.